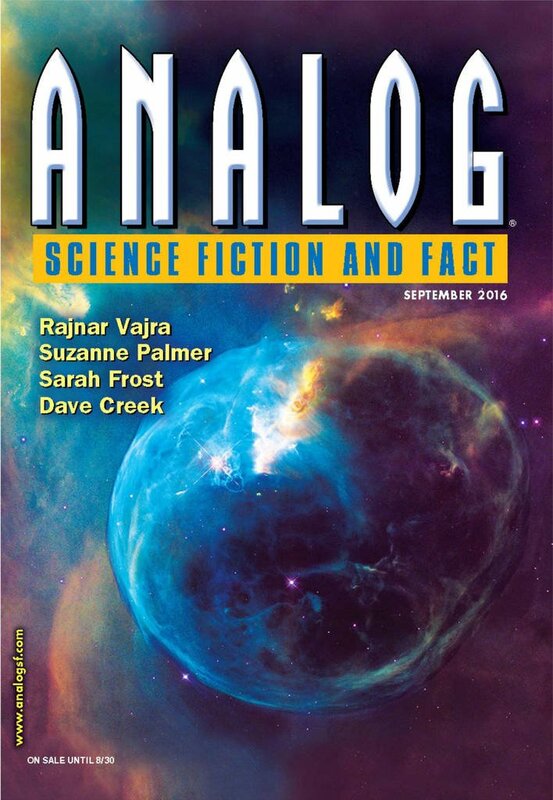 "Detroit Hammersmith, Zero-Gravity Toilet Repairman (Retired)," by Suzanne Palmer [bio] (edited by Trevor Quachri), appeared in Analog Science Fiction and Fact issue 09|16, published on July 16, 2016 by Penny Publications. 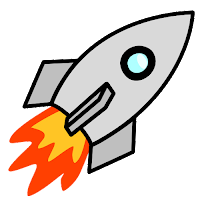 Pro: A clever little story, where each stage reveals a new complication. The "frogs" are causing the toilets to malfunction, but figuring out why the Skriknat and the Gaians are involved is a twist, as is the frog's own nature. All nicely wound up at the end, when we finally find out why Detroit is really retired. The story gives us liberal hints that the frogs are intelligent and that they are somehow trying to defend something. And, of course, we learn early on that Detroit is a really nice and honorable guy, so we expect him to go the extra mile at the end. Con: The ending it a little too pat. The Skriknat ambassador agreeing to fight the frogs to the death is rather hard to believe. Perhaps that really is their culture, but it wasn't signaled to us until right before it happened, so it sounds a false note. Likewise, the designation of Detroit as liaison to Bom is hard to buy.